As the Eighties hit says, nobody walks in LA. The truth is, Los Angeles is way too massive to tackle on foot. But driving a rental in LA traffic may be too much for some. Luckily, LA Metro's rail lines and bus routes are well-suited for visiting tourists. Depending on your LA itinerary, visitors can rely on the Los Angeles public transportation system for sightseeing. Before you jump on the Los Angeles public transportation system (LA Metro), you should know a few things. First of all, Los Angeles isn't famous for robust subway system. The truth is, the rail system in Los Angeles lags far behind other major US cities like New York or San Francisco. In LA, the bus system has many more routes than rail lines. But the current city government has vowed to increase access to reliable rail transportation in Los Angeles in the decades to come. One major line extension was completed with the Expo Line extension to Santa Monica. And another major construction project is already underway for the Purple Line. LA Metro users will need a Tap Card, a reloadable fare card. 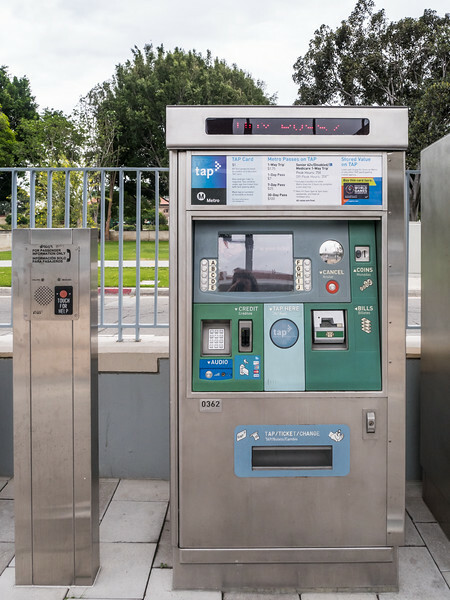 A Tap Card can be purchased for $1 at any LA Metro rail station from an automated dispensers. Several options are available for the travelers, including single rides and weekend rates. 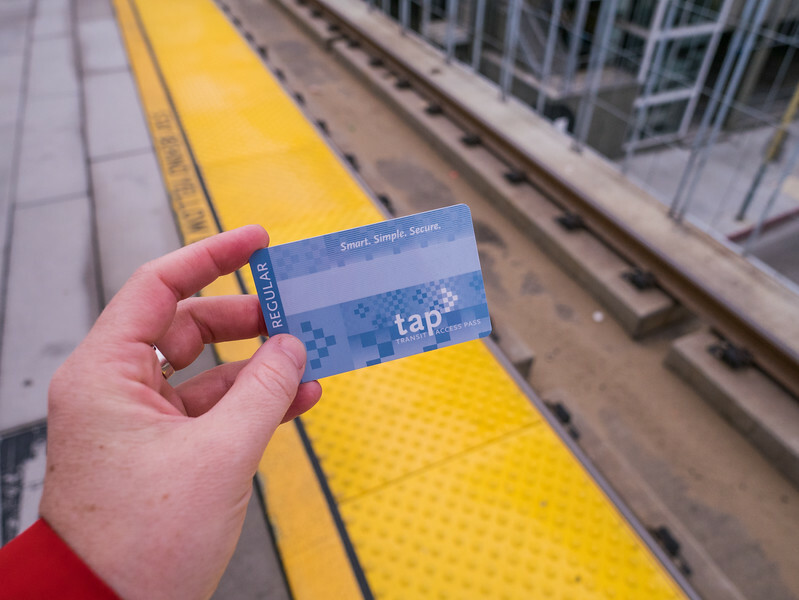 The Tap Card can be used on any Los Angeles public transportation bus or train, so keep it handy for changes and transfers. Head to the LA Metro website for more information, including how to use a Tap Card and how to purchase online. 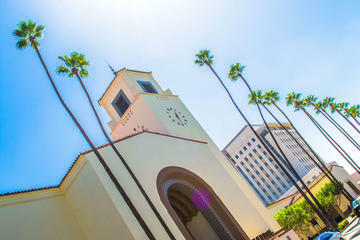 Determining an LA Metro itinerary is easy once a list of attractions to visit. Be strategic when planning. 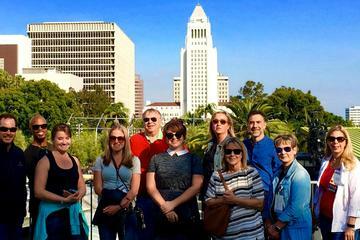 Group activities according to the area to make the most of your time and your LA Metro fare. And remember, traffic in Los Angeles is horrific, even for those using the Los Angeles public transportation system. Base fare for all methods of Los Angeles public transportation is $1.75. One day ($7), seven day ($25), and thirty day ($100) passes are available. In addition, cash fare can be added to the Tap Card for users who need flexibility. Up to two children (5 & under) can travel one adult, and school age children ride for only $1. Transfer fees do apply when transferring from LA Metro to any municipal transit, but fare stored on a Tap Card can be used on many of the smaller local transit systems. And don't miss the list of local businesses offering discounts to LA Metro users! Before arriving, be sure to download the Go Metro app, which provides up-to-date information on arrivals, trip planner, and more. Download copies of a map of the the LA Metro rail system, as well as a detailed map of Downtown Los Angeles to keep on your phone while visiting Los Angeles. Universal Studios Hollywood has long been a main Los Angeles attraction, drawing more than 8 million visitors per year in 2016. 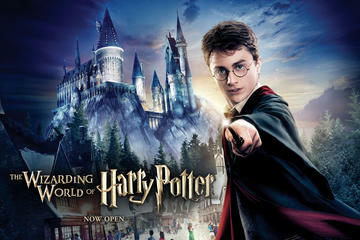 The new addition of the Harry Potter theme park, it's now drawing larger crowds than ever before. Los Angeles public transportation users can take the Red Line to the Universal City stop. From there, Universal Studios offers a free shuttle to the park for LA Metro riders. Hollywood offers a little something for everyone. 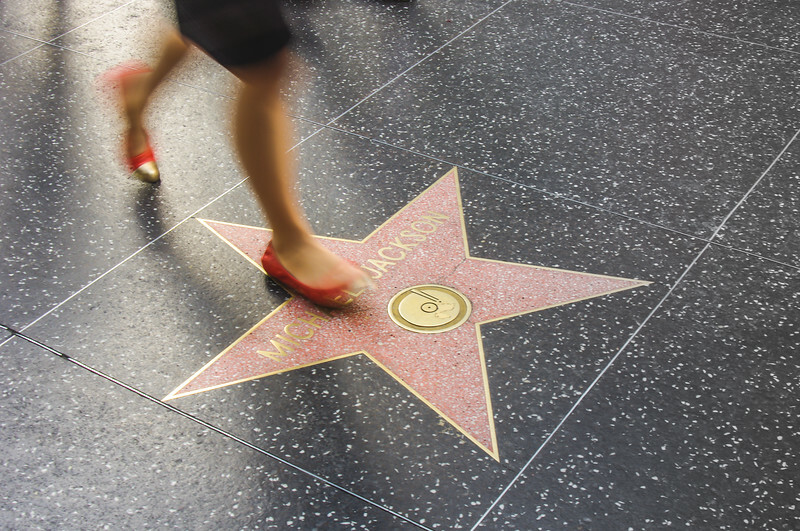 Whether shopping in the shadows of the Hollywood Hills at Hollywood & Vine, searching for stars on the Hollywood Walk of Fame or visiting Madame Tussauds's Famous Wax Museum, Hollywood Blvd something for everyone. As one of the most famous attractions in Los Angeles, Hollywood Blvd gets special treatment from the Los Angeles public transportation system. 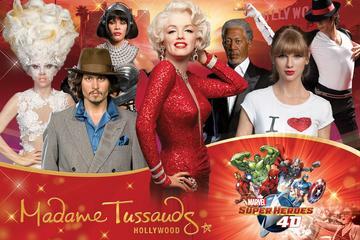 LA Metro users can hop off the Red Line at Hollywood & Vine stop to experience the best of Hollywood. 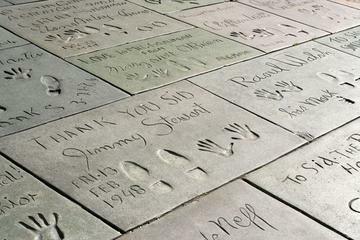 This convenient stop gives you access to Grauman's Chinese Theater, Dolby Theater, Madame Tussaud's, Ripley's Believe it or Not, plus many other well-known attractions. 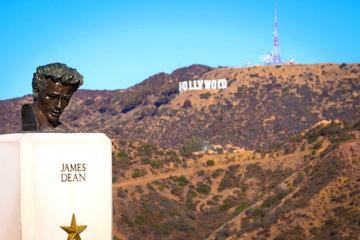 It's also the pick-up/drop-off spot for the many great Hollywood Sign Tours including this great Hollywood Sign hike! Los Angeles is full of cool, one-of-a-kind attractions. But none are more impressive than Shuttle Endeavour. Flown into the city on the back of a jet and shuttled through the crowded streets of LA, the shuttle is now nestled snuggly at the California Science Center. LA Metro users get easy access to the shuttle and the Science Center's other cool exhibitions via the Expo Line. Located just behind the Expo Rose Garden, the California Science Center is a quick walk from the Expo Park/USC stop on the Expo Line. For those looking to spend an entire day exploring other dimensions, consider the neighboring Natural History Museum. 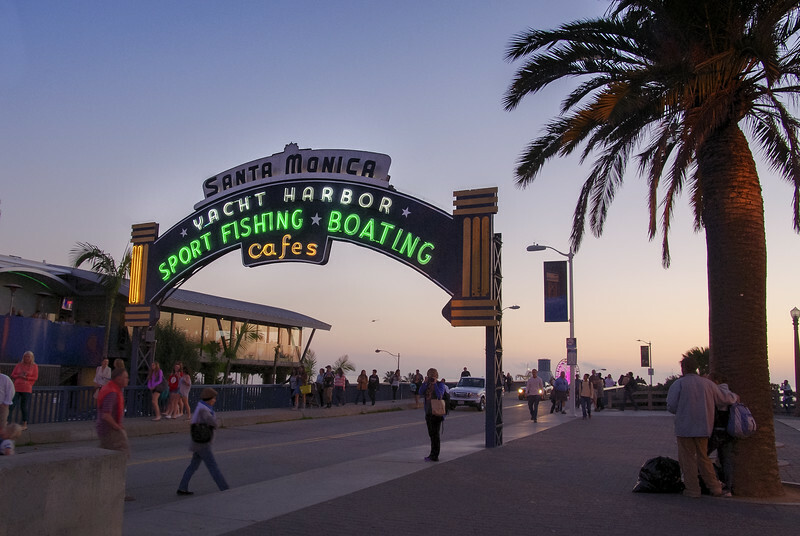 No visit to Los Angeles is complete without seeing the famous Santa Monica Pier. 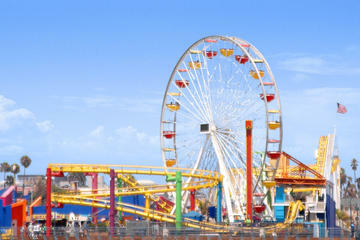 Weaved into the fabric of the City of Angels, the Santa Monica Pier is a prime example of the Los Angeles of yesteryear. LA's coastline is peppered with piers like the Santa Monica Pier, which opened in 1909. LA Metro users can now make Santa Monica a part of their car-free LA vacation thanks to the Expo Line extension. 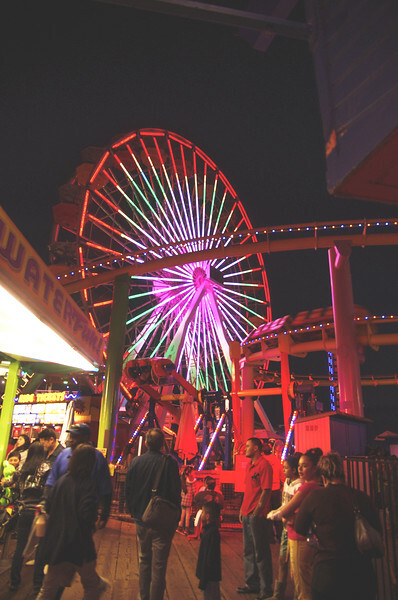 Visit the Santa Monica Pier and ride the famous Ferris wheel in Pacific Park, then stroll through the outdoor mall known as Third Street Promenade. This area is especially fun after-dark when many of the local restaurants welcome tourists with happy hour specials. Just be sure to check your watch! The last train leaves around 1 am Monday-Friday and 2 am Saturdays-Sundays. 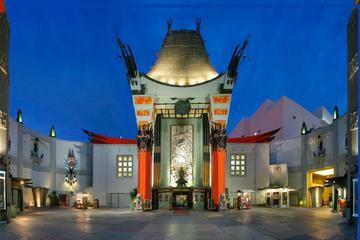 Once known as the heart of the film industry, Culver City has seen its fair share of change. Home to Sony Studios and many famous film sets in history, Culver City incorporated in 1917 just before the big film boom. Although the city is primarily residential, urban pockets are popping up due to the increase in up-and-coming artists, creatives, and young families. Over the past decade, Downtown Culver City has seen a rebirth of hip restaurants, businesses, and theaters. LA Metro riders get front row tickets to the action by way of the Culver City stop on the Expo Line. The large, well-lit train station is a block or two away from the heart of downtown. Culver City is a great place for visitors to experience a quieter Southern California scene. The great local restaurants are situated perfectly for date night, with both a live theater and movie theater within walking distance. And don't miss cocktails at the famous Culver Hotel, once owned by Charlie Chaplin! While LA's Chinatown may not rival San Francisco or New York in terms of size and density, the careful preservation of culture is impressive. 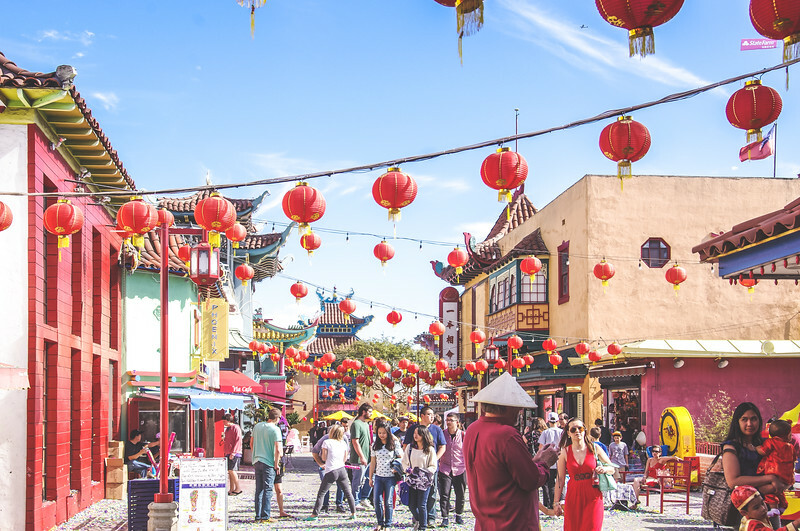 Part of the earliest settlements in Los Angeles, Chinatown is home to several historical attractions including a pair of iconic gates and the crowning jewel in terms of Los Angeles public transportation rail stations. Hop off the Gold Line at the Chinatown stop for dinner at any one of the authentic Chinese restaurants in the area. Paper lanterns and pagodas line the streets of this culturally-rich neighborhood, a definite must-see destination for any car-free LA vacation. While you're there, explore both Chinatown and Little Tokyo with this affordable walking tour! What feels like a quick ride from Union Station via the Red Line turns out to be a world away from the rest of LA. At least that's what stepping foot into Little Tokyo feels like. Ramen shops, Hello Kitty collections, and Japanese history make this small but significant neighborhood worth seeing. Don't forget to experience Olvera Street, the oldest settlement in Los Angeles. Founded originally in 1781, this unique attraction lies just outside of Union Station, the hub of the entire Los Angeles public transportation system. Many of the major rail lines converge at Union Station, making Olvera Street easily accessible. 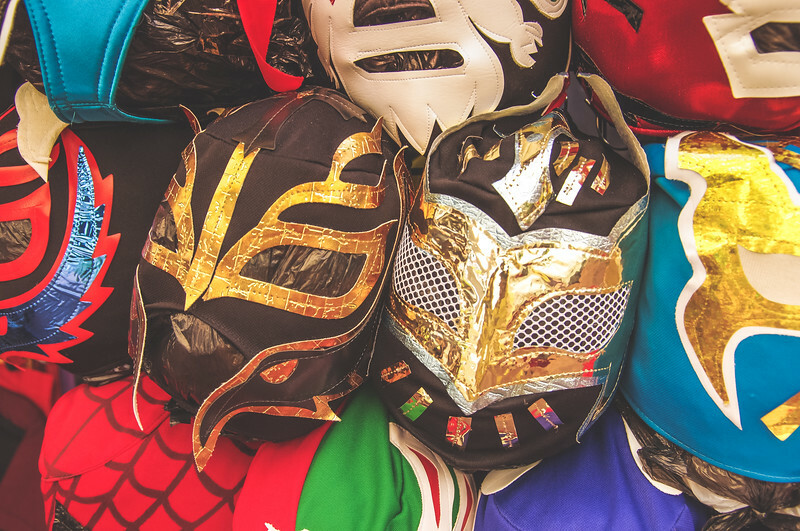 Shop the stalls of craftsman and souvenir makers while listening to traditional Mexican sounds. Stop by the El Paseo Inn for amazing food and atmosphere. Order the table side guacamole and wait for the resident mariachi band to play a favorite tune. Although the dated square isn't as attractive as other stops, the surrounding streets are filled with must-see Los Angeles attractions. 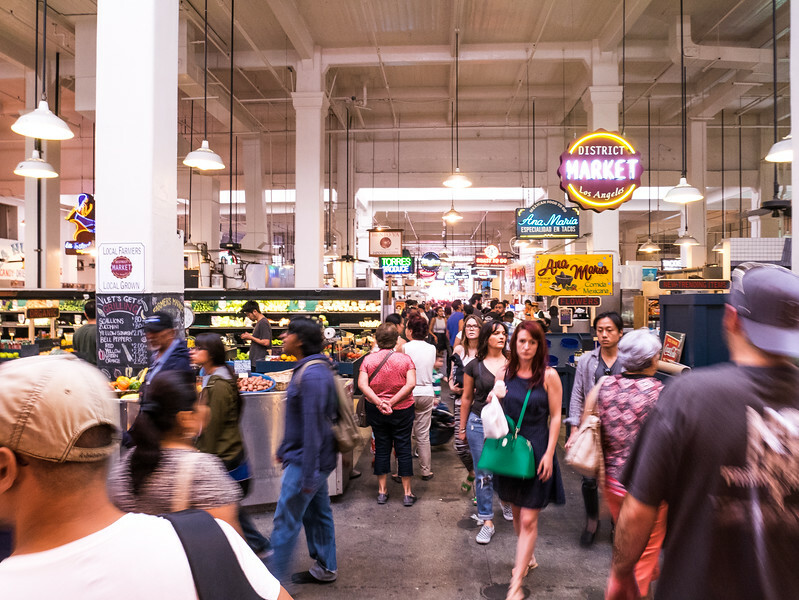 From Grand Central Market to The Last Bookstore, the area around Pershing Square is the heart of Downtown LA. LA Metro riders can spend an entire day walking the corridors of DTLA admiring the historic architecture on their way to/from museums, shops, and restaurants. A rapid DASH bus darts reliably from place to place in Downtown Los Angeles for those needing a break from the sloping streets. Just be sure to stay alert; this area can be seedy at night. 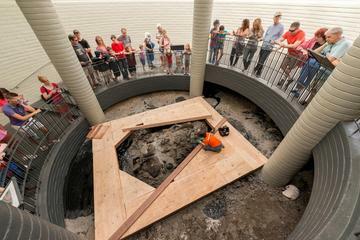 Most people wouldn't think of using public transportation to get to the hilltop museum. But it's totally doable with a train/bus combo via the Los Angeles public transportation system. And while you may spend a good amount of time in transit, FREE admission to a world-class museum just might be worth it. The Getty Center can be accessed via the Expo Line by taking the 734 Bus (Sylmar) from the Sepulveda Station. The ride will take approximately 1.5 hours, so bring reading material. 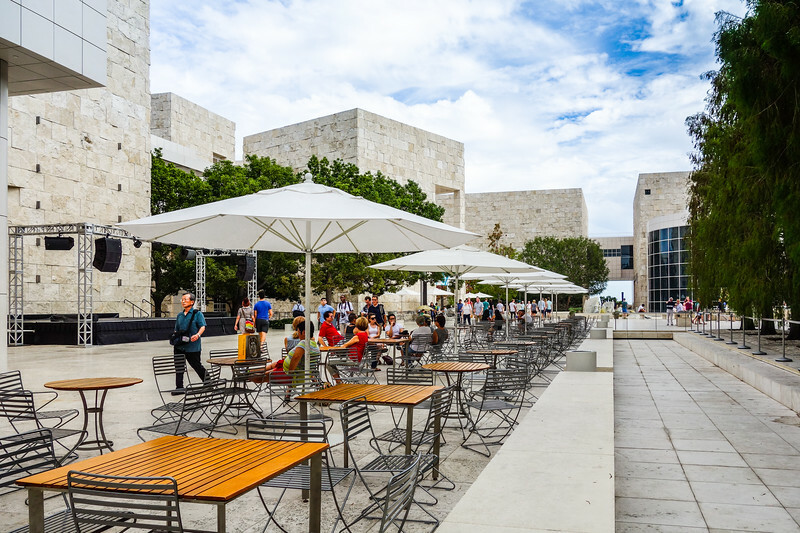 Make the most of any visit by bringing a picnic lunch to enjoy in the famous Getty gardens overlooking the Pacific Ocean. Sports fans rejoice! LA Metro makes getting to the Staples Center, one of the premier sporting venues in Los Angeles, a breeze! And for those of us who don't like sports, neighboring LA Live has plenty of other entertainment options. Get to LA Live via the Red, Purple, and Expo Lines by exiting the 7th & Metro stop and walking the four short blocks. Roll a strike at Lucky Strike, catch a glimpse of music history at the Grammy Museum, or simply enjoy dinner at any of the hip restaurants in the bustling Downtown neighborhood. 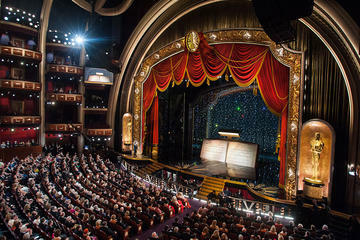 Live music lovers, be sure to check the calendar of the Nokia Theater, a small theater where large acts are known to play to small, intimate audiences. While it might not be as flashy as other LA attractions, Old Town Pasadena has its charm. One of the original suburbs of Los Angeles, Pasadena's rich history is palpable. With tons of boutiques and retail shops littering the main drag, this area has a distinct SoCal vibe. LA Metro users can easily get to Old Town Pasadena via the Gold Line. Use the Memorial Park or Del Mar stops, both of which require a quick 8-10 minute walk to the heart of it all. Experience outdoor shopping at it's best on Colorado Blvd, and dine at one of the many amazing Pasadena restaurants. When it comes to the Los Angeles public transportation system, accessing Miracle Mile on Wilshire isn't as easy as other areas of the city. But the notable museums and theaters in the area may make a visit worthwhile for art and culture lovers. The Miracle Mile area of Los Angeles is home to the Los Angeles County Museum of Art (LACMA), the La Brea Tar Pits, the Peterson Automotive Museum, and soon to be the Academy Award Museum (opening 2019). And with an extension of the Purple Line underway, LA Metro is making an effort to make this area more accessible to public transportation users. For now, those looking to enjoy any of these attractions can hop on the 720 bus from the Wilshire/Western Purple Line stop in Koreatown. And hungry tourists are sure to find something amazing to eat any of the great Koreatown restaurants. 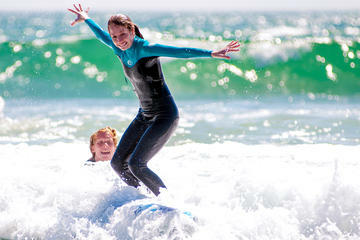 The Los Angeles public transportation system also offers accessible routes to several other notable LA attractions. Go see a Dodger game at the famous stadium via an express bus from Union Station. Get to Downtown Long Beach via the Blue Line to experience the largest aquarium in Southern California.